Can I recover a forgotten iCloud password? If you feel that your apple ID is exposed to malicious person, it is advisable that you reset your apple ID. The beauty of the technology is that there is always a way out to every problem. Therefore, if you have an iPhone and you forget your iCloud password you can always change your password. The process of resetting your iCloud on iPhone is pretty easy if you follow the steps correctly. To be more successful you should have the email address and passcode of iCloud account that you want to delete. In this article we will first show you to delete your iCloud Account and then show you how to change your iCloud Account details on iPhone. Without further ado, let us show you how to do it. Step 1. Search for Settings app on iPhone and open it. Step 2. Under settings click on "iCloud". Step 3. On iCloud Settings scroll down until you find "Delete Account" and tap on it. For newer iOS version it is be indicated "Sign Out". Step 4. 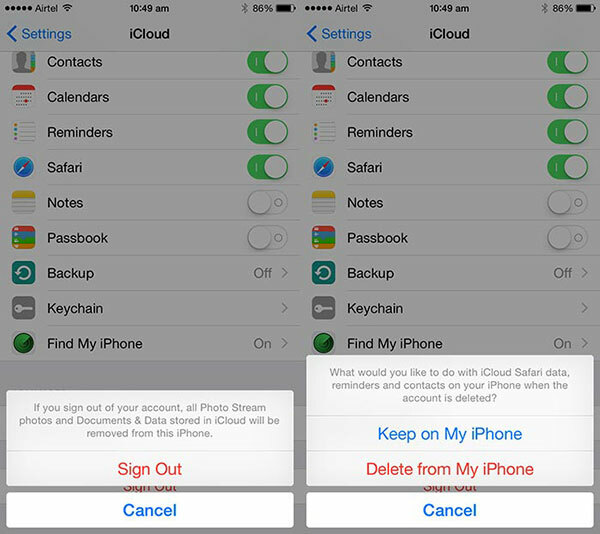 A notification will appear informing you that deleting your iCloud account will leads to deletion of all documents. Confirm deletion by clicking on "Delete or Sign out". Step 5. On the iCloud Safari you can click on "Keep on my iPhone". Step 6. Next you have to enter your Apple ID to be signed out. Step 7. After that, click on "Turn Off" and you will be logged out. Once the iCloud account is removed you can now change the iCloud Account. After deleting account here is how to change iCloud account you can now enter a new email address that you have never used before. Otherwise you will not be able to change the iCloud account. Step 1. On your iPhone click on "Setting>iCloud". Step 2. Next click enter a new email address and a new password. If you have not created it you can click on Create New Apple ID and follow the prompts. Step 3. 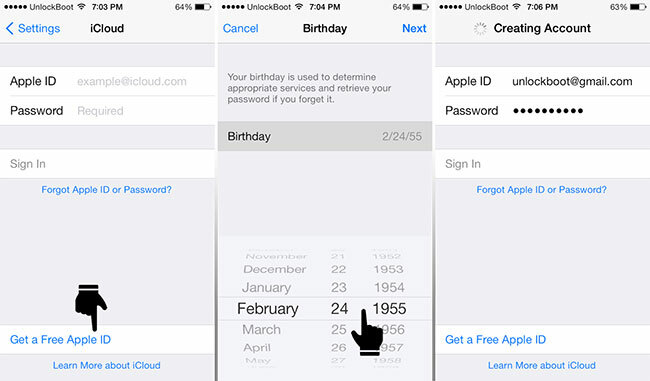 After that enter your birth date details and click on next. Step 4. Next enter your first name and the last name and click on "Next". Step 5. Now enter an email address and provide a password. Step 6. Verify the password by re-entering the password. Step 7. Choose three security questions and answer them. Step 8. After that agree with the terms and conditions and verify your account from the verification code sent to your email. You can also change your iCloud ID by logging in to applied.apple com and changing apple email address and password. From there you can then make changes on your iOS device. Whether you are running the latest generation or oldest generation of your iPhone you may lose data accidentally, your iPhone may fail to respond. In such a situation you need to get an iOS data recovery software for your iOS device. 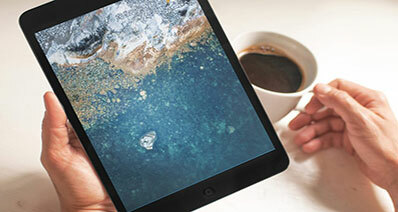 iSkysoft Toolbox - iOS Data Recovery is one of the reliable software that is compatible with iPhones (iPhone X and iPhone 8 supported), iPads, and iPods. This software is designed to recovery data, and fixes your iPhone device when it freezes. Moreover, it comes with a very simplified user interface that allows you to recover files within three simplified steps; scan, recover and preview. To get a clear understanding of this software let us see some of its key features. 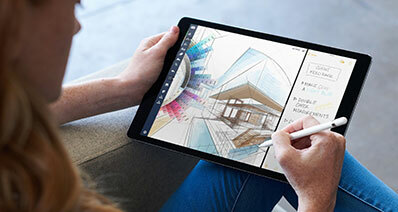 It can recover contacts, Camera Roll, Reminder, Call History, Notes, Messages, Photo stream, Voicemail, Calendar, Voice Memo, Safari Bookmark, WhatsApp History, Photo Library, App Photos, App Video and App documents, etc. This software allows you to preview the data first before recovering from iCloud backup, iTunes backup and iOS devices. 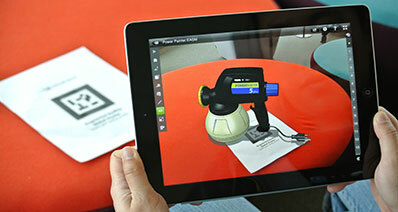 It has a special scan feature that can search for files to recover. Another attractive feature of this software is its ability to selectively recover files. 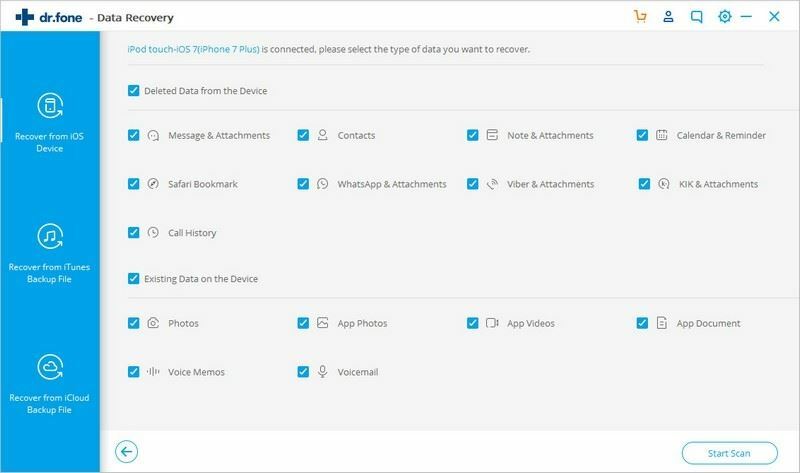 It supports different data loss scenarios like jailbreak failure, iOS upgrade data loss, accidental deletion, virus attack and others.